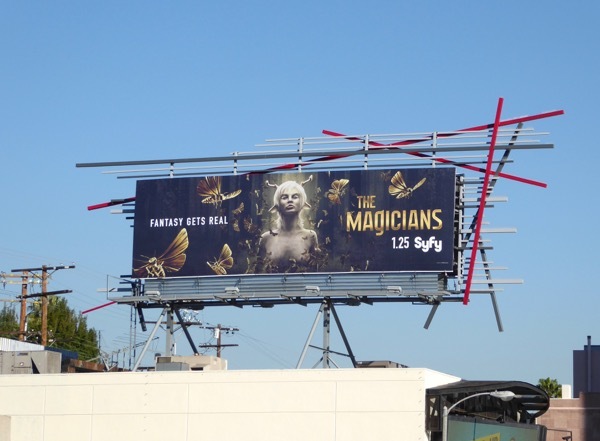 We all need a little magic in our lives at the moment with this dark, twisted vision of America happening before our eyes like some evil wizard's conjuring trick, so escape to a fantasy world of make-believe with these sophomore season billboards for Syfy's The Magicians. 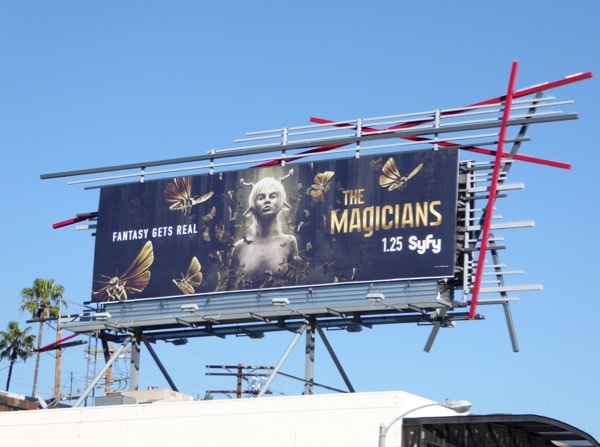 Based on the 2009 fantasy novel of the same name by Lev Grossman, Jason Ralph stars as 'Quentin Coldwater' who enrolls at Brakebills College to learn how to be a magician, whilst his childhood friend, 'Julia Wicker' (Stella Maeve), is rejected by the same magical institute, she seeks answers elsewhere from darker avenues. He soon discovers that the fantasy world from his favorite childhood books, 'Fillory and Further', is actually real and poses a dangerous threat to humanity. 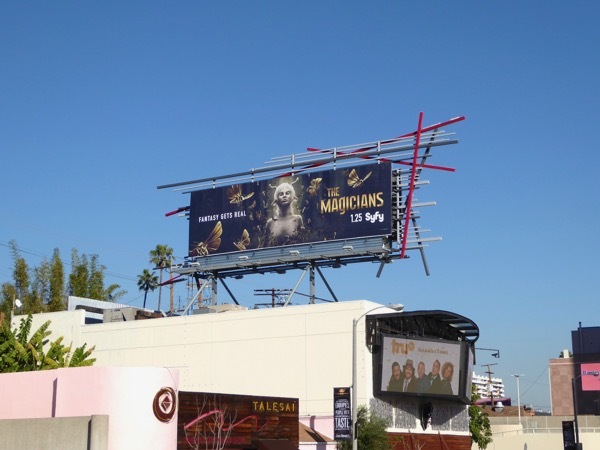 These fantastical second season billboards were snapped along West Hollywood's Sunset Strip, Fairfax Avenue and San Vicente Boulevard from January 14 to January 19, 2017. 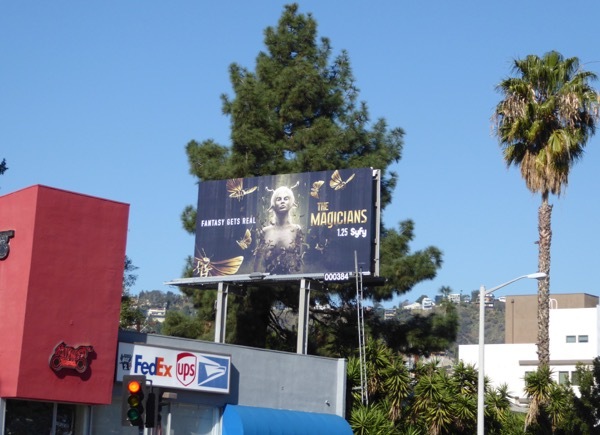 Fans of the show, which is like a grownup, sexier Harry Potter and Narnia mashup, can also enjoy these season one billboards for The Magicians. 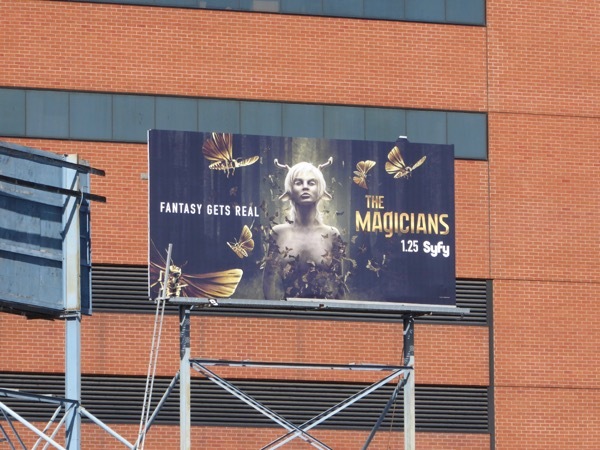 From the looks of these ad creatives it's time to expand your mind further in the second season as 'fantasy gets real' (moths haven't been this deadly since The Silence of the Lambs).